My One Monthly Goal for December is to finish my son's bed quilt. 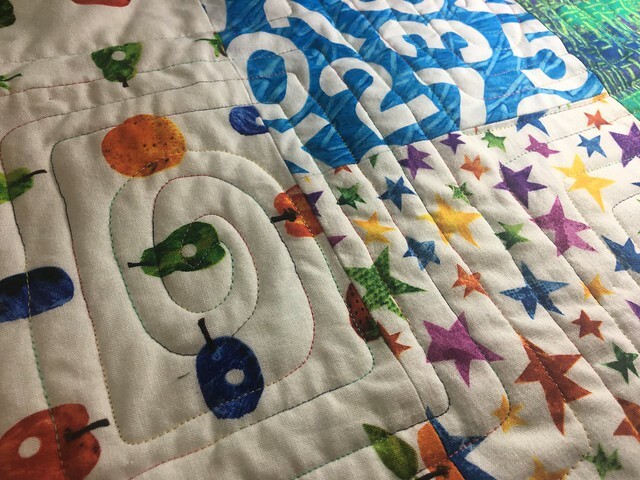 It is a twin-sized quilt and had been basted for quite some time. I had thread and a quilting motif picked out. This week I finally got it under the needle and got started. After the first spiral I calculated that I needed to make about 179 more to finish the quilt. Eek! I made some of the spirals a little larger to help cut down the total number needed, but this is still going to be slow going. And I'm going to try to resist calculating how many more spirals I have left. It's still a lot. 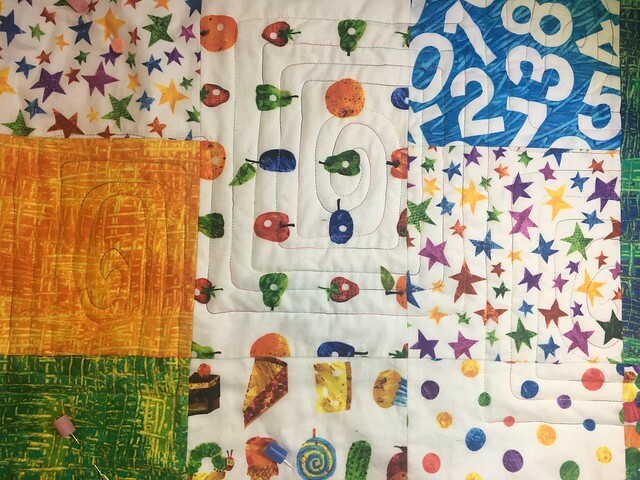 I love the texture created by this motif that I also used on this smaller Very Hungry Caterpillar quilt. I'm working in small chunks of time on this large project. It may not get done this month, but I'm happy to be making progress. Posted in Quilting. 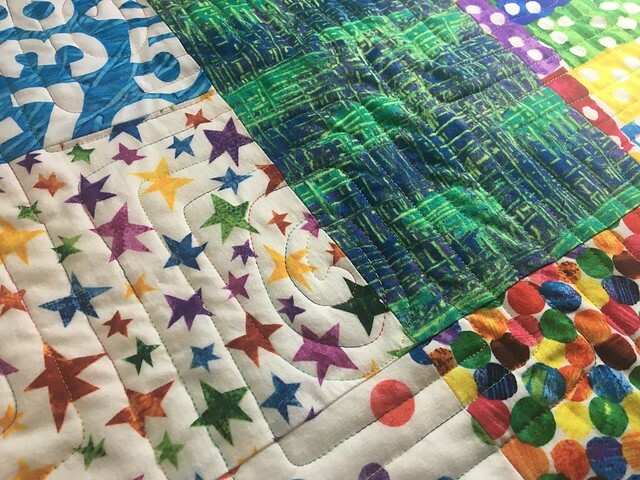 Tags: free motion quilting on December 15, 2017 by sarah. Thank you, Yvonne. That's totally it. 1 down, 179 to go is very daunting. We'll see. I only have three days left with the kids in school. I'd like to surprise G, so I'm trying to only work on it when he doesn't see. Luckily I only have one other deadline project this month. Time to go quilt! That's a lot of spirals. But they look great. Happy sewing.